How would life look like, where our satisfaction is not dependent on negative and positive assessments and experiences? Being with oneself absolutely in harmony. How does one attain the Absolute? And what is absolute life? For this web site I wrote 18 short articles. Every article answers these questions from another point of view. – Discover! Brahma is the Ultimate and charya means "to follow". Literally translated, Brahmacharya, has been said to be "a lifestyle adopted to enable one to attain the Ultimate Reality." A Brahmachari is one who lives Brahmacharya. 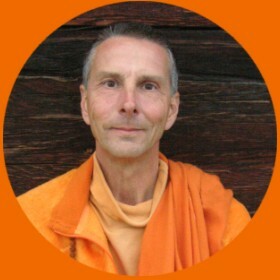 The word "Brahmacharya" is Sanskrit. Sanskrit is the language in which the Holy Scriptures in Hinduism and also in Buddhism have been written. 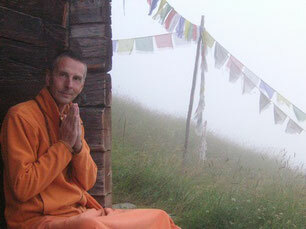 Since 2012, I live as hermit monk in the Swiss Alps (Vallais). Before that, 11 years on Tenerife Island (Spain). Previously engineer in business information technology. 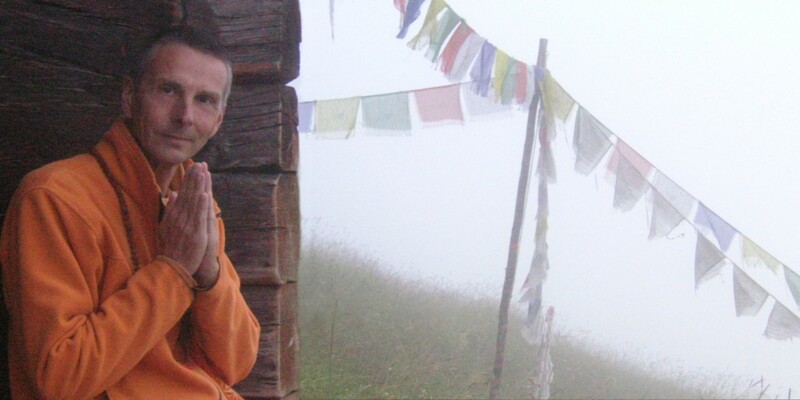 As Brahmachari one lives a contemplative life. Silent and attentive. Action is practically impossible. Body and the mind are tranquil. The mind is concentrating and the body is in its best condition. The interest and the desire is only for the One. And when we do something, then we do it knowingly. In Switzerland the fresh cow's milk comes to wooden dishes, in India in copper dishes. Milk is stored in different vessels. If we want to have cream, we leave the milk overnight. In the other morning we can skim off the cream. One can do this in Switzerland as well in India, whether wood dishes or copper dishes are used! Overnight there is always cream. And about this cream it is. The world argues, whether milk shall be kept into wood or copper. The world argues, whether the milk is better from this or from that country. Don't let ourselves we be turned away of the vessel! The vessel is necessary, otherwise one cannot leave the milk overnight. But, nevertheless, it is not about the vessel. It is even not about the milk – it is about the cream! Now you understand why I can't produce something and sell it. And the knowlegde on my website is for free. 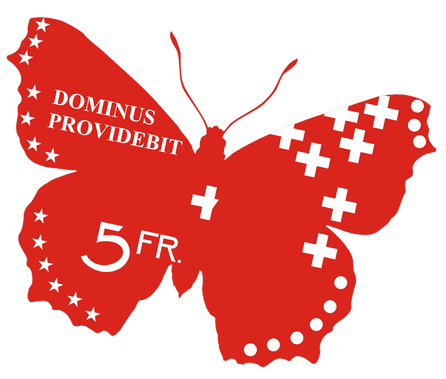 What is regarded as a monthly minimum wage in Switzerland is for me sufficiant for almost a whole year. Would you like to act as a maecenas or as a benefactress or benefactor regularly? Email me or my administrator. See bank account data as well.